When you think of mowing, spring might come to mind, but the grass doesn’t stop growing in the cool weather. That being said, there’s still plenty of mowing that needs to be done once autumn arrives, and it doesn’t stop until the first snowfall. 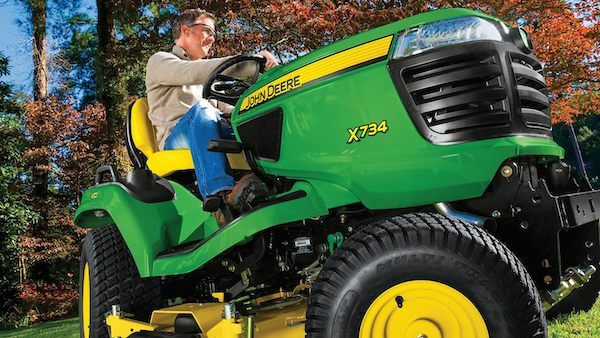 With John Deere mowers, you can take on the task at hand without any problems. Let’s take a look at some helpful tips you can take into consideration this autumn to ensure that your yard is fully prepared for the season ahead. As the summer months have come and gone it is time to begin planning enjoyable fall activities. As the air becomes crisp, many people will begin moving their social gathering indoors but there is still plenty of fun to be had outdoors. In this instance I am referring to building a safe environment where friends and family can enjoy the beauty autumn months have to offer. In this video, Progressive Farmer Magazine Senior Editor Dan Miller shows us how to properly build a fire pit that will be safe for everyone to enjoy.